Life in France isn’t easy for the orphaned Maia Fielding. She’s struggling at her new music school, she has nightmares about her murdered grandfather… and when she thinks her romance with her boyfriend Altair is about to get serious he turns into a demon! Maia and her friends find themselves face to face with the horrors of the Underworld, where everyone she loves may be lost to her, forever. 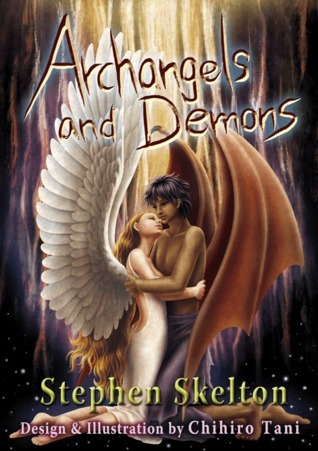 Archangels and Demons is a story of true love, an unconditional love, that will really teach you something about accepting (and fighting for) the person you love even though he or she is really different. For Maia, the protagonist in this book, it was learning that her one true love, Altair, is a demon and not minding at all. Not just any demon though. Altair’s father is the evil of them all. That being said, you may form a conclusion already on how the story will go and end. But I suggest you hold your horses there. This book offers a lot more than what you can ever imagine. At least for me, I was astounded with the author’s creativity and really vivid imagination. Be ready for surprises and twists and turns that will get your mind looking for answers and wondering what Maia, Altair and their friends would do next. Or how they will surpass the tricky situations that will come their way. Let’s talk about the story. The story is really wonderful. It’s brilliant, as I’ve mentioned above. The story is set in the future world where Microsoft and Apple are things of the past. I mean, until now, I can’t believe what I’ve read. I can’t divulge a lot here but I have to tell you to be ready for the unexpected. This is what I like about reading. It brings me to worlds that are unknown and unbelievable but are really interesting. The ones that you will want to know more about. This book brought me to an innovative world where people like Maia and her friends still care about each other, where true love still exists, and where the impossible became possible. The characters. I have to be honest. I really liked the characters but I wasn’t able to connect that much with Maia and Altair. I mean, I understand the love that they have, the true love that they are imposing but I just didn’t feel it. I am not sure why I wasn’t able to connect, but I tried though. Do you know what I mean? I think this is because I felt that I needed to know more about the characters and I felt that this book didn’t really give that much introduction or description for the characters. Some books don’t need that as they may have been written a certain way where knowing more about the characters are not necessary. But this one, it needed more. As a reader, I needed more. Anyway, that’s just me. That’s how I felt. I think my favorite character is Alice, Maia's best friend. She's not the main character, I know. But her character is really likable. She's feisty and very supportive of Maia. All in all, I would still recommend this impressive creation. I still loved it and would recommend to all romantic thriller readers out there. To all my friends, viewers and readers, if you want to read a book that will bring you to a place where ‘heaven meets earth’, and a book that will, once again, let us know the true meaning of unconditional love, then go ahead, read this book. You'll enjoy it. This Kindle eBook was gifted to me by the author himself, Stephen Skelton. And you know, he’s really generous as he is willing to give away 5 free eBook copies of Archangels and Demons (Kindle edition only). The first five readers who will email him will get a copy of this eBook. It's important that you let him know that you’ve read my review and are interested in reading the book yourself. So email him now at skeltand@gmail.com. Remember, first five only ;) Go, go, go! Stephen Skelton is best selling author of Your New Future and has lived and travelled all over the world. Currently based in Japan he teaches at an International School. Stephen likes star watching, trekking, playing music, yoga and eating any kind of berry ever grown. Great review! That's a bummer that you didn't feel the connection between the couple. I know what you mean though, or at least what I'm thinking. I need to know about each person, why they would fall in love with each other. I don't want to be told they love each other, I want to see the little things that got them there and keep them there too. Well, that's me. :) Romance is so hard to do right! I don't want to be told they love each other, I want to see the little things that got them there and keep them there too. Well, that's me. - I totally agree. I think that's the only thing lacking here. The spark. The connection between the reader and those two. But then again, that's just how I felt. 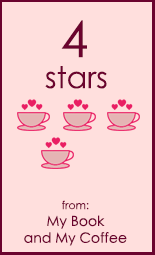 Thanks for supporting authors by posting reviews! It really helps other readers. I appreciate the review. It is the little things that makes me fall in love with a book. It has to be believable! I just finished a great book. It is called, " Kincaid and the Legal Massacre" by author Curtis D. Carney. This a fiction novel a wildlife biologist is sent to the Bering Sea on the Pribilof Islands where he is engaged in a struggle to restrain the massacring of Northern fur seals while trying to rescue the the native Inuit wives from rogue kidnappers. Your welcome! I hope you are able to read it in the future. Love your site. I love the little bird. So cute!